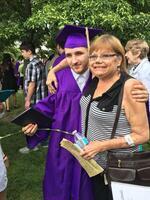 Provide comfort for the family of Nickie Clippinger with a meaningful gesture of sympathy. 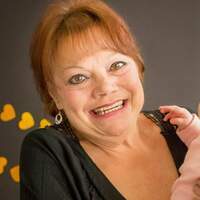 Nickie Lynn Clippinger (Leffler), 63, passed away peacefully at her home in Whitehouse, OH, in the company of her two daughters on March 8, 2019. She was loved as a daughter, sister, mother, grandmother, aunt and friend. Nickie was born in Toledo, OH to the late William and Elisabeth Leffler on July 14, 1955. She attended DeVilbiss High School and went on to become a long time cosmetologist. Nickie prided herself on helping people look their best. In 1993, she married the love of her life, Frederick Clippinger ( who proceeded her in death). Nickie and Fred raised two daughters and a grandson together in Whitehouse, where they enjoyed spending time together with family and friends. Nickie was a devoted mother and wife, a kind and generous friend and sister and a fierce protector to those she loved. 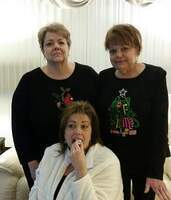 Nickie is survived by her daughters, Robin (Derek) Vargo, and Jodi Waxler-Malloy, by her sisters, Christina (Keith) Byers and Beverly Westray, by her brothers, Raymond (Stacy) and William “Al” Leffler. 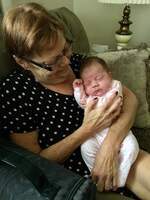 Nickie is also survived by grandchildren Steven, Madison, Brenden, Austin, Jakob, K’leigh, Logan, Lillian, Alex, Peyton and Parker, as well as great granddaughter, Avery. A celebration of Life will be held in her honor at noon on March 30, 2019 at Garden Park Church. To plant a memorial tree in honor of Nickie Lynn Clippinger (Leffler), please visit our Heartfelt Sympathies Store. We encourage you to share your most beloved memories of Nickie here, so that the family and other loved ones can always see it. You can upload cherished photographs, or share your favorite stories, and can even comment on those shared by others.